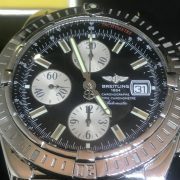 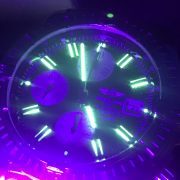 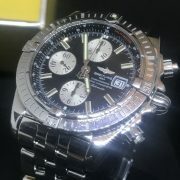 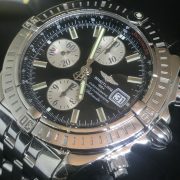 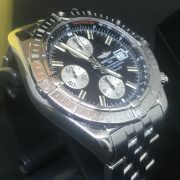 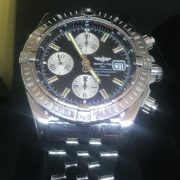 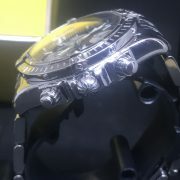 Very, very nice Breitling Chronomat Evolution chronograph with gorgeous black Dial with silver chronograph sub dials! 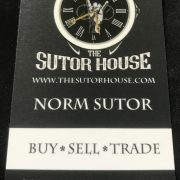 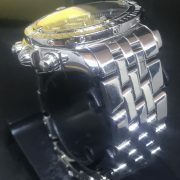 Excellent cosmetic and mechanical condition and bracelet will easily fit an 8 inch wrist! 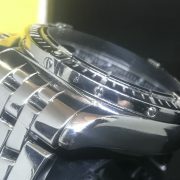 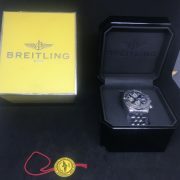 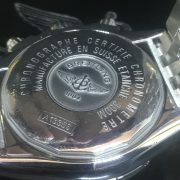 STRAP/BRACELET: – Original Breitling Stainless steel bracelet with links that will fit up to an 8 inch wrist!